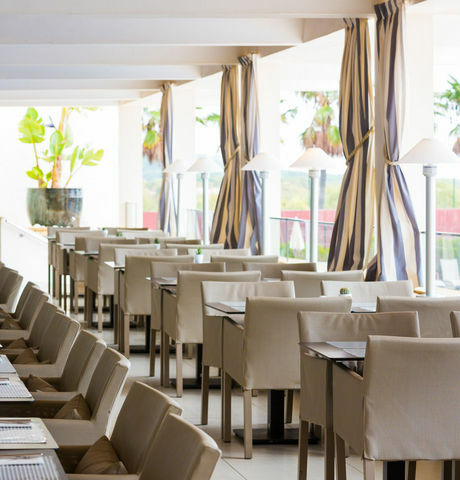 Featuring gourmet à la carte dining, hot and cold buffet and show cooking, the Atlântico Restaurant gives diners the opportunity to sample regional, Mediterranean and international flavours, ranging from cataplana to Italian cuisine and including seafood and vegetarian dishes. 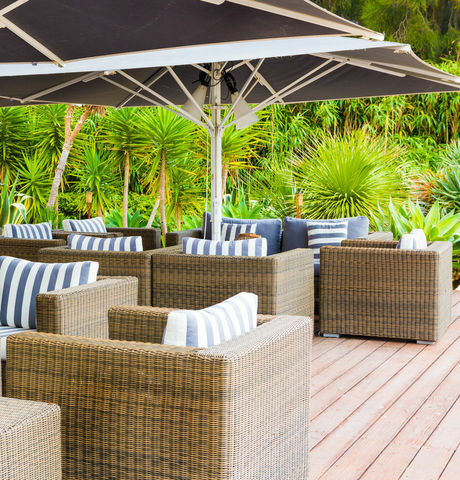 Light meals, fresh fruit juices or ice cream snacks are available at the Gilles, while the bar offers a variety of tapas that combine deliciously with a well-chilled glass of champagne or white wine. And every menu at the Eurotel Altura includes a special section for our younger diners featuring favourite children’s meals such as hamburgers, pizzas and pastas. 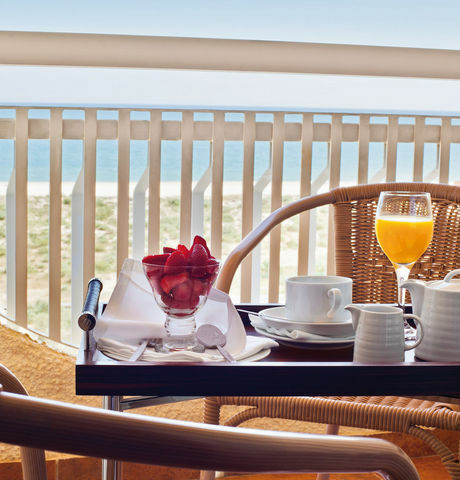 Overlooking the pool and the beach, our generous breakfast buffet is the perfect way to start the day. Enjoy a light meal, an ice cream or a glass of fresh fruit juice at the pool bar. Open all day, this is the ideal spot for an evening drink among friends. Offering a varied menu featuring regional, Mediterranean and international flavours for an à la carte dinner or a relaxed buffet, either inside the Atlântico Restaurant itself or at the Varanda, overlooking the pool and garden. 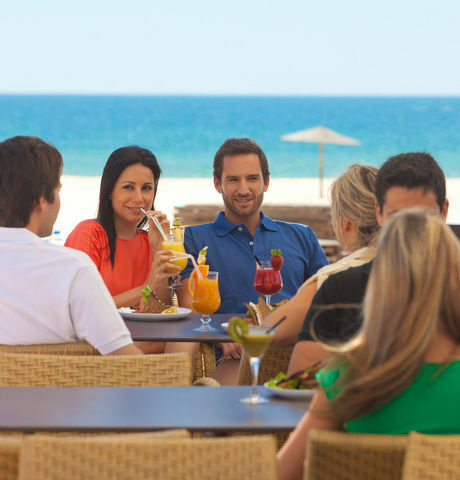 Our beach bar is a deck on the sands of Altura beach, serving fresh fruit juices, cocktails, salads and sandwiches.